Contact centres can no longer function efficiently and fulfill their customer expectations while relying on old technologies. Modern customers want easy, frictionless experiences with the fastest path towards solving their problems or fulfilling their needs. They interact on their terms—whether it’s by phone, email, web chat or even on social platforms. That’s why you need a modern, connected workforce who can succeed on all these communication channels to meet today’s expectations and remain competitive. If a given agent is unable to answer a particular customer query, they can quickly and easily find someone who can, thanks to Collaborate. The software solution means that more customers are leaving the interaction satisfied with the knowledge that your company was able to resolve the issue without being required to wait for a call back. If you need to connect with agents in another contact centre or with those working remotely, there’s no better way to get in touch than video conferencing. We’re minimising facelessness in the contact centre by providing more opportunities for you to inject personality into your workplace and, indeed, into your interactions with customers. Multiple documents with multiple collaborators using tracked changes can get very messy very quickly. We’ve built an integrated content management system into our Collaborate solution to make it much simpler to manage internal documents and keep everyone on the same page. Your staff may be downloading external apps to collaborate more effectively with each other, causing multiple lines of communication and an environment of haphazard collaboration. Our group chat feature means that all of your agents can communicate in one place with consummate ease and without affecting their efficiency on the job. If you need dialling capabilities, Collaborate seamlessly integrates with Communicate and its sophisticated IP PBX. This means that, with features such as a speech-enabled auto attendant, Direct Inbound Dialling (DID) and directory integration with 1-click dialling, your agents can collaborate with one another and serve your customers with the touch of a button. 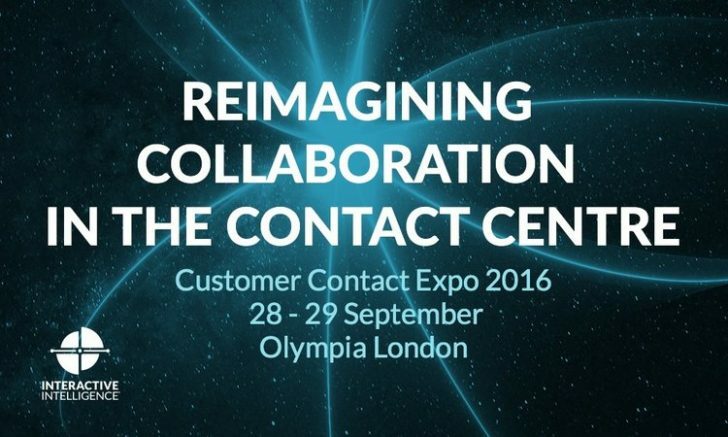 Be the first to comment on "Interaction Intelligence Collaboration in the Contact Centre"